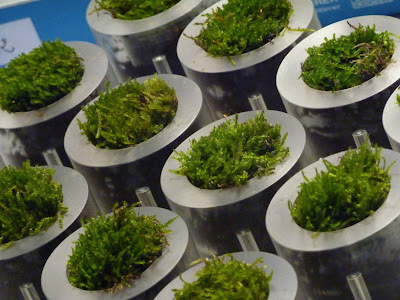 We’ve all heard about buildings powered by solar or wind energy, but an algae-powered building? 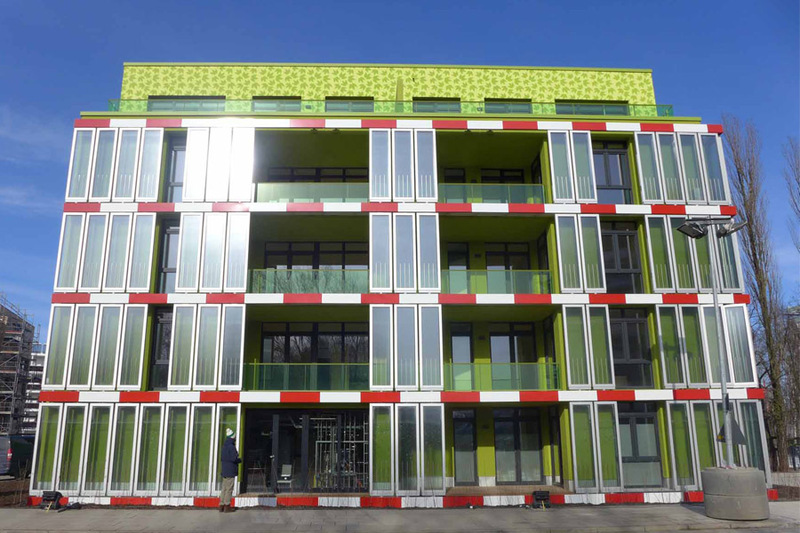 The BIQ house will become the world’s first pilot project to showcase a bioreactive façade at the International Building Exhibition (IBA) in Hamburg on 23 March. 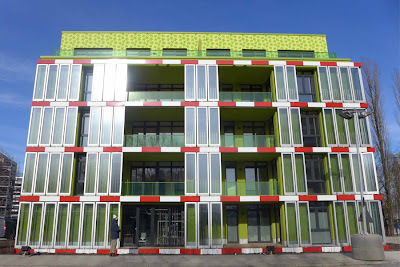 With 200m² of integrated photo-bioreactors, this passive-energy house generates biomass and heat as renewable energy resources. At the same time, the system integrates additional functionality such as dynamic shading, thermal insulation and noise abatement, highlighting the full potential of this technology. 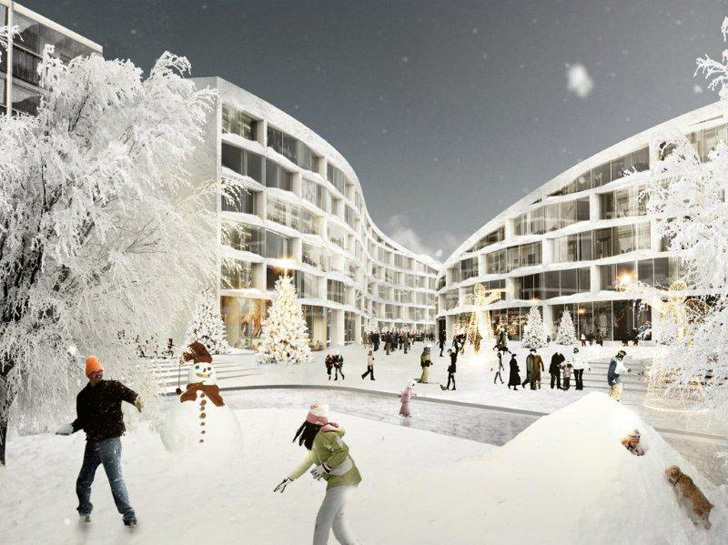 Thanks to Bjarke Ingles and BIG Architects, the sleepy Levi Resort in Lapland will soon be transformed into a futuristic world class ski destination. Plans for the revamped resort even include a swooping luxury building that will feature a roof that visitors can ski on! Called the Koutalaki Ski Village, the new complex will be an extension of the existing summit and current buildings that will revitalize the area with fun activities and green features. 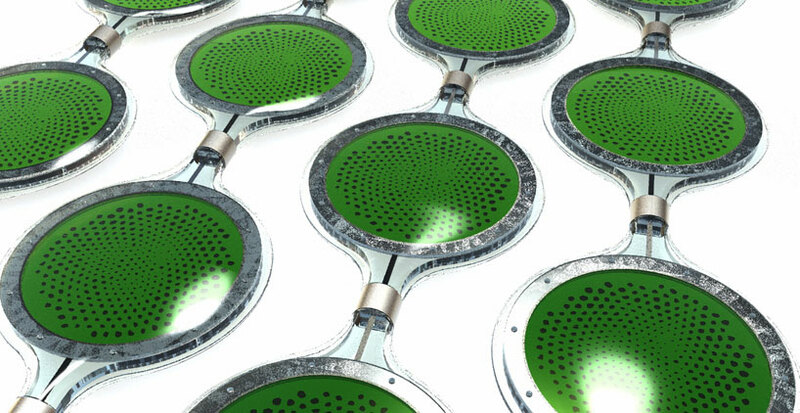 Two Research Groups at London's Cambridge University-- the 'Engineering and Physical Sciences Research Council' (EPSRC) and the 'Design in Science' Project-- have come together to create a table, alongside a series of product concepts, that integrates biophotovoltaic (BPV) technology. BVP devices generate renewable energy through the photosynthetic processes of living organisms such as algae and moss, in a way that scientists estimate will become a competitive alternative to solar panels within the next five to ten years.